In todays article I have decided to give you plenty of examples and ways how you can express that you want something. It is a very high frequency word and if you want to learn Chinese quickly, you definitelly should first start only with learning these high frequency vocabulary and the correct use of it. So here is the word that means – to want : 要 (yào). If you want, just download the first free 100 lessons from the ChinesePod library and listen a native speaker to pronounce the word, so you learn it perfectly. Since this is one of the most important chinese words, you definitely should listen to its pronucniation many times, untill you can say it correctly. 你要吃什么？ (Nǐ yào chī shénme?) What do you want to eat? 我要吃东西。 (Wǒ yào chī dōngxī.) I want to eat something. 我要吃午饭。 (Wǒ yào chī wǔfàn.) I want to eat lunch. 他要吃晚饭了吗? (Tā yào chī wǎnfànle ma?) Does he want to eat dinner? 对，他要吃晚餐。 (Duì, tā yào chī wǎncān.) Yes, he wnts to eat dinner. 你要做什么？ (Nǐ yào zuò shénme?) What do you want to do? 我要去电影院看电影。 (Wǒ yào qù diànyǐngyuàn kàn diànyǐng.) I want to go to the movie theather to watch movie. 她要做什么？ (Tā yào zuò shénme?) What does she want to do? 她要看书。 (Tā yào kànshū.) She wants to read the book. 你要去哪儿？ (Nǐ yào qù nǎ’er?) Where do you want to go? 我要去中国。 (Wǒ yào qù zhōngguó.) I want to go to China. To form question with 要不要 (yào bù yào) is another basic grammar structure that you could be hearing all the time and also using it. Just follow the examples and try to get the idea behind this structure and sentence patterns. 你要不要去酒吧？(Nǐ yào bùyào qù jiǔbā?) Do you want to go to the bar? 你要不要看电视？ (Nǐ yào bùyào kàn diànshì?) Do you want to watch TV? 要不要我帮你？ (Yào bùyào wǒ bāng nǐ?) Do you want me to help you? 他要不要来？ (Tā yào bùyào lái?) Is he coming? 你要不要吃小核桃？ (Nǐ yào bùyào chī xiǎo hétáo?) Do you want to eat walnuts? 你要不要喝水？ (Nǐ yào bùyào hē shuǐ?) Do you want to drink water? I really do love Chinese grammar because it is so easy and as long as you get the basic patterns, you will be ale to absorb it quickly and also use it correctly. So in most cases, if you want to create a negative form of a verb, you just add 不 in front of the verb. The best way to remember this is to use it in sentences that you are more likely to use. 你要不要喝奶茶？ (Nǐ yào bùyào hē nǎichá?) Do you want to drink milk tea? 不要! (Bùyào!) I dont want! 她不要和咖啡，她要和茶。 (Tā bùyào hé kāfēi, tā yào hé chá.) She does not want to drink caffe, she wants to drink tea. 我不要她，我要你！ (Wǒ bùyào tā, wǒ yào nǐ!) I do not want her, I want you! 我今天很累，我不要去酒吧喝啤酒。 (Wǒ jīntiān hěn lèi, wǒ bùyào qù jiǔbā hē píjiǔ.) I am tired today, I do not want to go to the bar to drink beer. 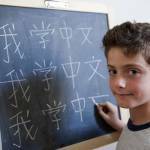 I hope you did enjoy this article and now you can see how logical Mandarin chinese language really is. Everyday I study, it becomes easier and easier. Now, more you practice the about sentences, more the I want to do something or I want to have something in Chinese will become second nature to you. If you want to learn quicker, you can read my tips on learning Mandarin Chinese, get some beginner learning tips or see what tools I use to learn Chinese language really fast.